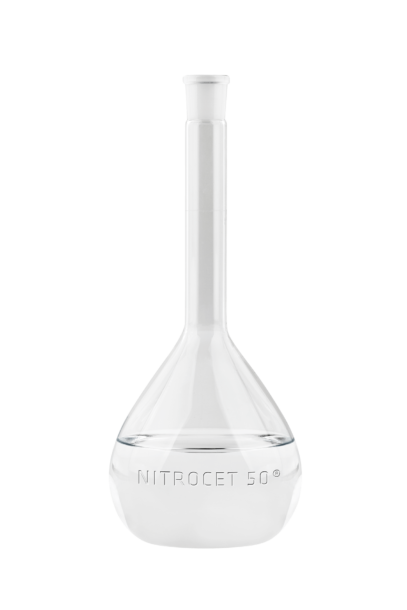 NITROCET 50® – 2-ethylhexyl nitrate (2-EHN) is used as a diesel additive to increase its cetane number. The high technological parameters of the product meet the requirements of various customers and place NITROCET 50® among the latest generation diesel fuel additives. enables extending the product portfolio with special diesel premium fuels. maintains the engine and ensures its smooth operation at a lower pressure. eliminates carbon deposits on injector nozzles. For detailed information on the properties of NITROCET 50®, please refer to the data sheet – downloadable file.